One of the most rewarding aspects of what we do at the South Florida Business Journal is that we get to highlight the innovators and companies that fuel the tri-county region’s thriving business landscape. That’s because celebrating the accomplishments of entrepreneurs and learning how they surmount challenges to implement their visions and ultimately grow their ventures can prove inspirational for others. The CareCloud offices in Miami. This is especially true when touting success stories from South Florida’s hyper-competitive technology sector. Because while there’s nary a shortage of winning ideas for startups, securing the funding needed to grow those enterprises is an ongoing hurdle. This week’s cover story illustrates how one company, Miami-based CareCloud, is making its mark in South Florida’s nascent tech sector. Launched in 2009, the health care technology company has consistently racked up the clients, revenue and employees to become a leader in its field. The company’s founders believed in its product, a cloud-based system that marries the patient care and office management roles of medical practices. 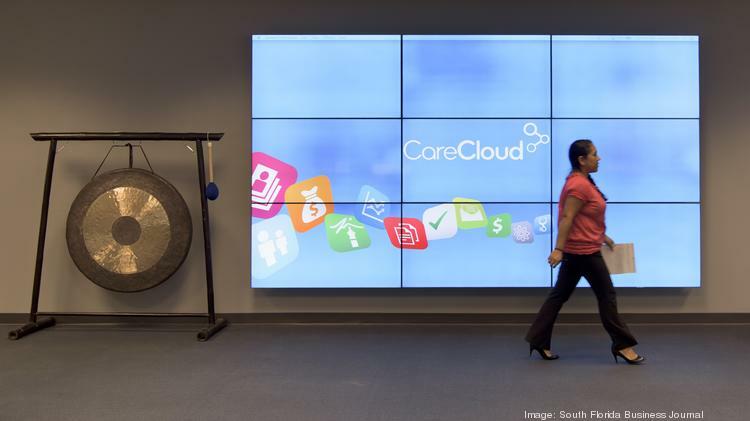 Investors also believe in CareCloud’s vision and its electronic health records platform — backing the company to the tune of nearly $125 million over the past seven years. That’s a noteworthy accomplishment and one that could bode well for other South Florida startups, experts say. Because as more tri-county ventures snare the money needed to launch and grow, that spotlights the area as a region ripe with innovation – — the type of innovation worth investing in. Mel Meléndez is editor-in-chief for the South Florida Business Journal.